Hello there! Happy Tuesday, it's Crystal here to host the blog for you! 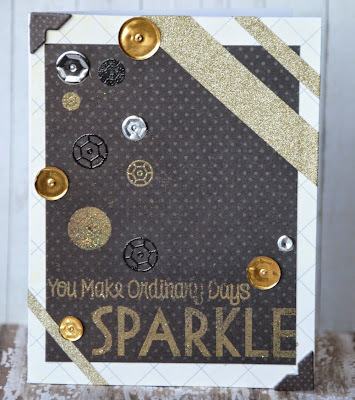 Today we have card inspiration featuring Quick Quotes Gypsy Road Papers! 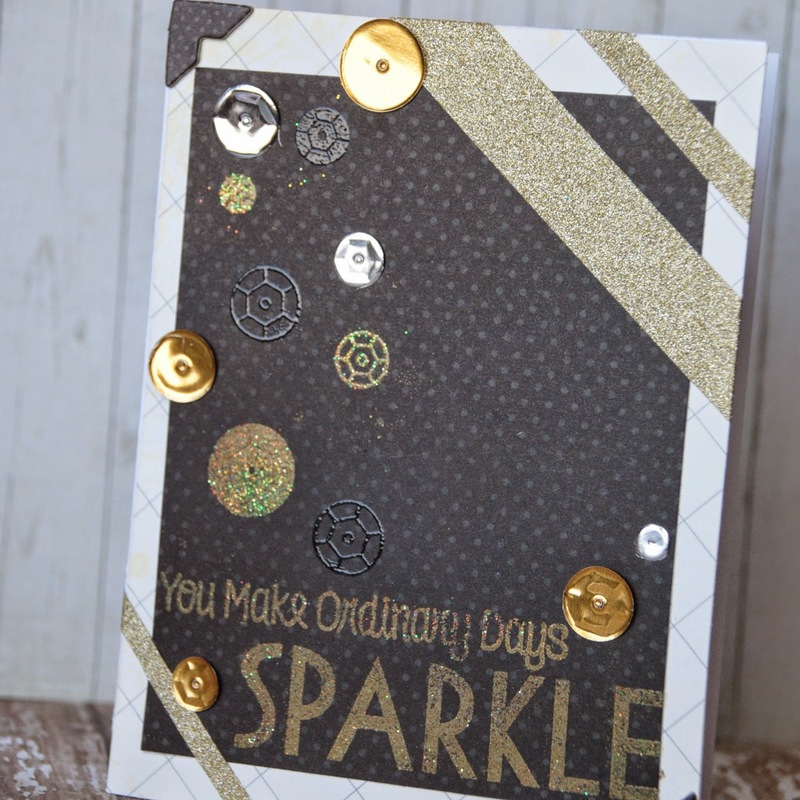 This is a fun card created using black and gold color combos with a little glitter. I used two sheets of paper, Gypsy Road 300 and 100. The light colored background is Gypsy Road 100 trimmed to 5 x 4.25 inches. The black polka dot is Gypsy Road 300, trimmed to 4.75 x 4 inches. 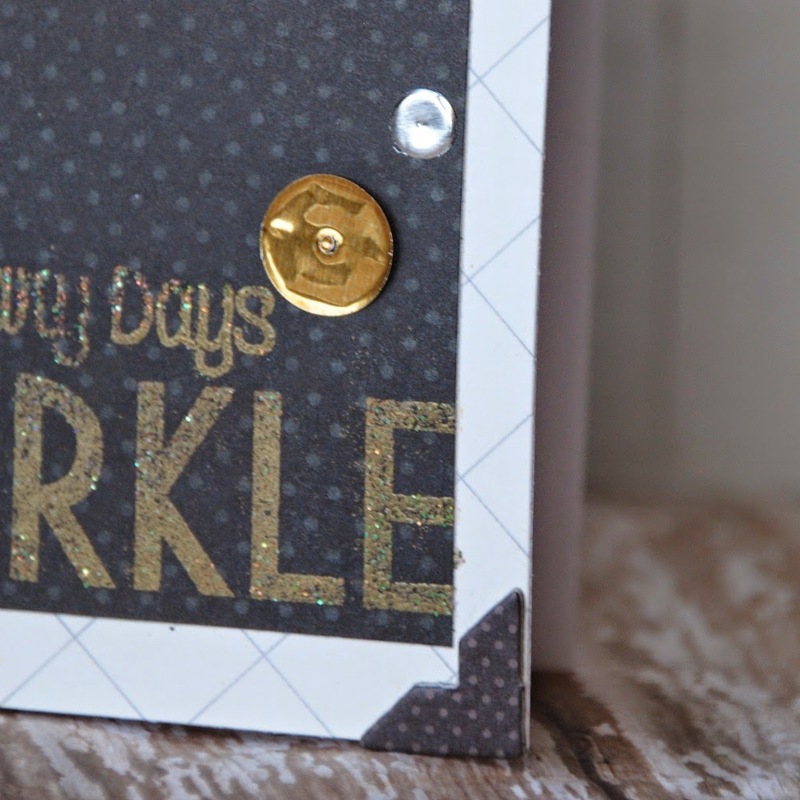 I did lots of embossing with gold and clear embossing powder. The finishing touches are Gypsy Road Chipboard Die cut stickers. Thanks for stopping by today. Come back tomorrow for some more awesome inspiration!